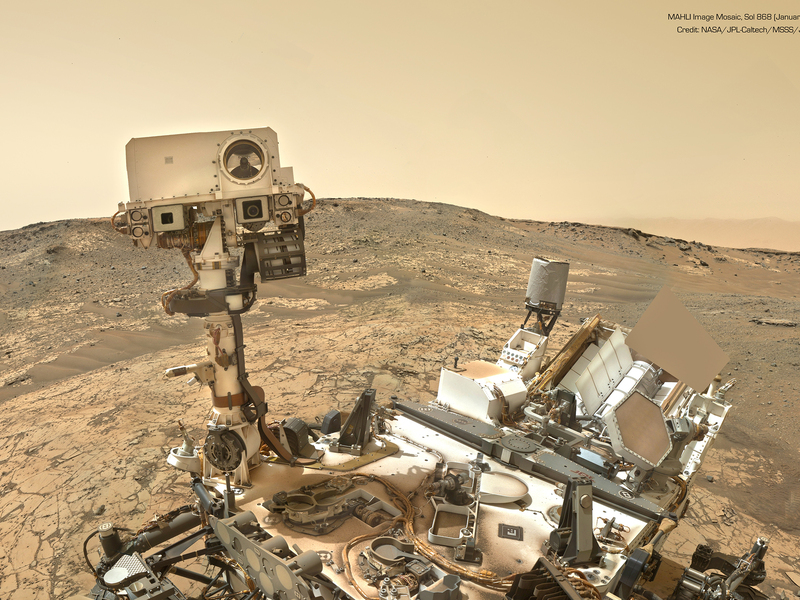 Curiosity rover (NASA’s Mars Science Laboratory mission), has contributed novel and groundbreaking discoveries about Martian environment, atmospheric dynamics, geochemistry and history. As a whole, these new insights (surface transient liquid water, unequivocal detection of atmospheric methane, presence of organics and fixed forms of nitrogen…), open interesting and promising research lines to be developed in the coming missions to the planet. 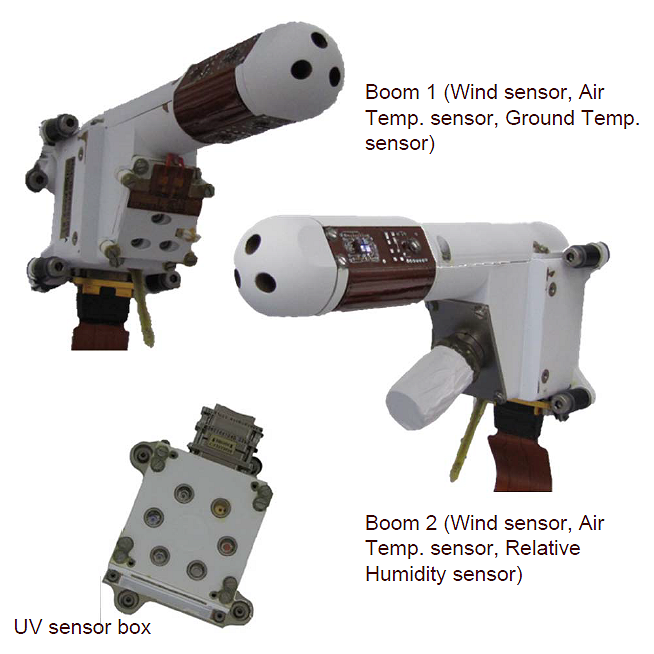 The Group of Atmospheric Science is taking part in Curiosity’s investigations since its landing on Mars on August 2012.- In particular, we are involved in the exploitation of data from the Rover Environmental Monitoring Station (REMS), one of the instruments on board the rover. It is a meteorological station whose data have been determining in the achievement of some of the aforementioned discoveries, as well as in the improvement of the knowledge about Martian atmospheric dynamics. Giving continuity to the new research fronts posed by means of Curiosity’s studies, Atmospheric Science Group participates in the scientific operations of the Trace Gas Orbiter (TGO), the core of the ExoMars 2016 mission. 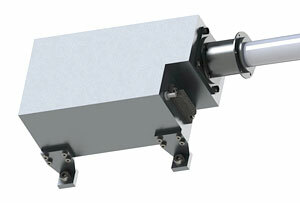 TGO is intended to perform a detailed and accurate inventory of rarefied gasses in the Martian atmosphere. Special attention will be payed to the monitoring of methane, since it is a most typical biological byproduct, and its detection posed intriguing implications from an astrobiological point of view. Professor Javier Martín-Torres, chair of the Group, is Co-Investigator of the Atmospheric Chemistry Suite (ACS), one of the four instruments on board the spacecraft. 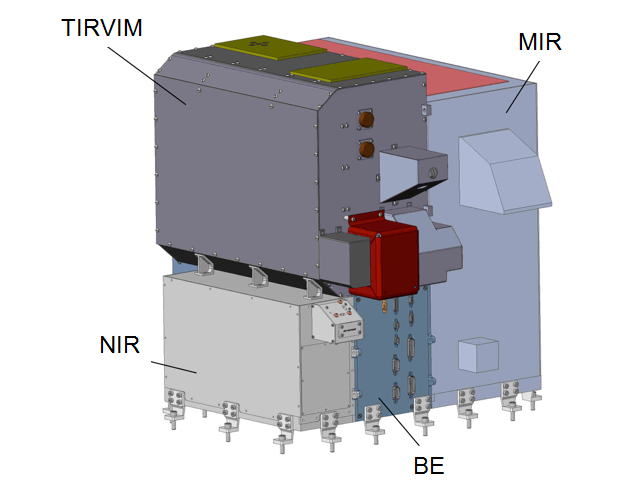 It consists of a set of three infrared spectrometers which will complement the measurements of the Nadir and Occultation for MArs Discovery (NOMAD) instrument, also included in TGO’s scientific payload. The ExoMars’ 2020 Surface Platform (SP), is the Russian module of the mission, which is being undertaken through the collaboration between European and Russian space agencies (ESA and Roscosmos respectively). 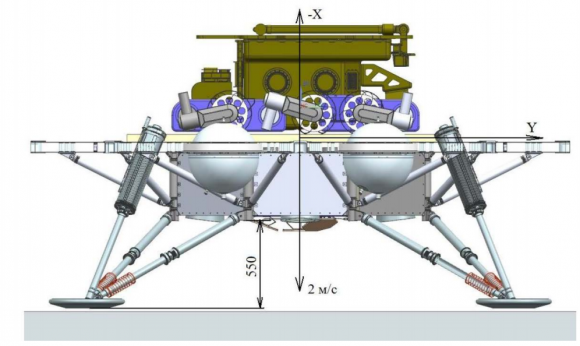 SP will serve as a protective wrap for the ExoMars 2020 rover (the cornerstone of the mission) during the entry, descend and landing stage only to release it once on the Martian ground. 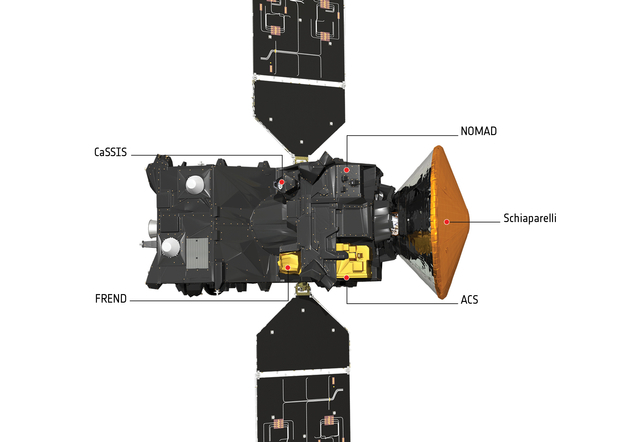 SP will remain still on the landing site taking measurements by means of the scientific instrumentation it is equipped with during at least one year (duration of the nominal mission). 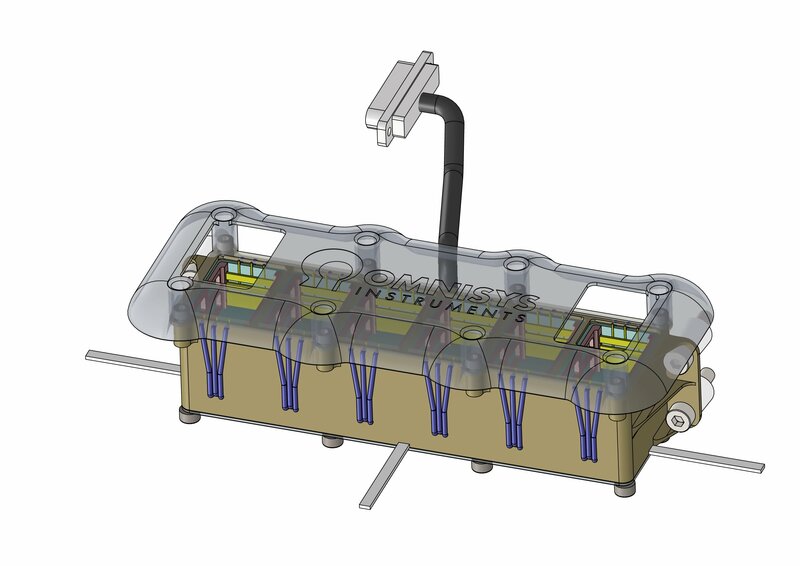 HABIT is one of the instruments on SP, from where it will be monitoring the formation of perchlorates brines with the main aim to enquire the implications of the phenomenon for the assessment of the habitability of the surface and subsurface. At the same time, their environmental sensor will contribute an expansion of the amount of atmospheric data gathered so far by different instruments in several missions. Importantly, HABIT data will be a direct continuation of those obtained by REMS, which will facilitate the spatial extension of the knowledge about the atmospheric boundary layer dynamics. 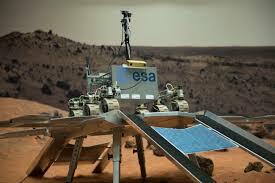 ExoMars 2020 rover will traverse several kilometers from the landing point obtaining different kind of data. Among other things, and as a novelty, the rover will be equipped with a drill that can take samples from the ground up to a depth of two meters in its direct search for traces of life. It mounts several analytical instruments to perform chemical and mineralogical studies on the samples, including the identification of biomarkers which, if present, could have been maintained unaltered deep in the ground, away from the harsh conditions on the surface. One of those instruments is the Infrared Spectrometer for ExoMars (ISEM), in whose studies the Group of Atmospheric Science is also involved. ISEM will carry out investigations on the composition of the surface soil, and it will allow to identify different kinds of minerals, distinguishing those resulting from the presence of liquid water. Its capability to perform real time analysis of ground composition will give support to the rover’s operation team when selecting preferential drilling sites.